Driving vs flying to Canberra from Sydney, Business Class-style. Which wins? 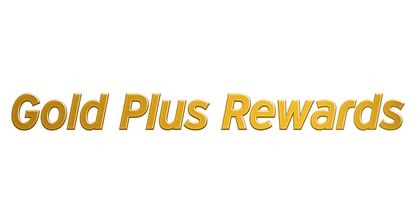 Hertz have had their Gold Plus Rewards program for a while now, and they would like everyone to hear about it – so they have sponsored Point Hacks during July and August. Thanks Hertz! 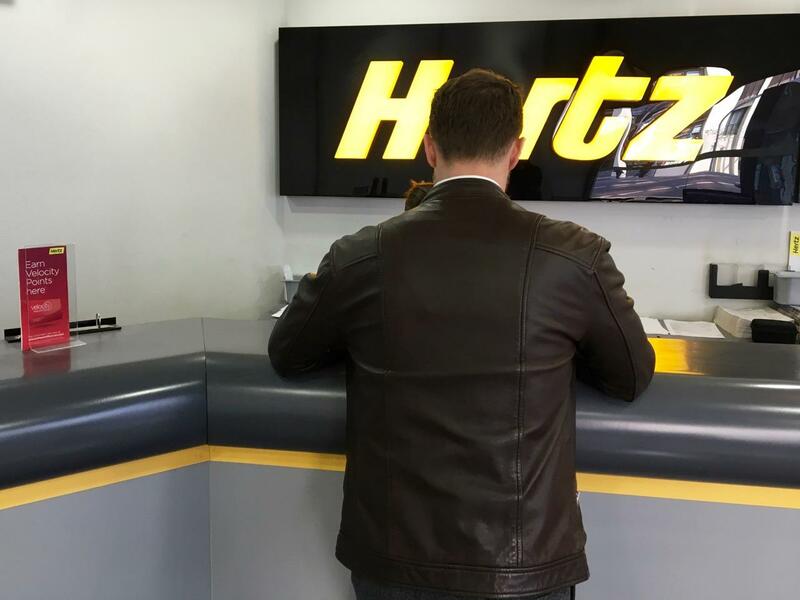 As part of our brief we wanted to showcase a premium Hertz rental and see if we could tease out some of the benefits of Hertz Gold Plus Rewards. As we’ve explained in our Hertz Gold Plus Rewards guide, the program allows you to earn frequent flyer or Hertz points for your rentals. 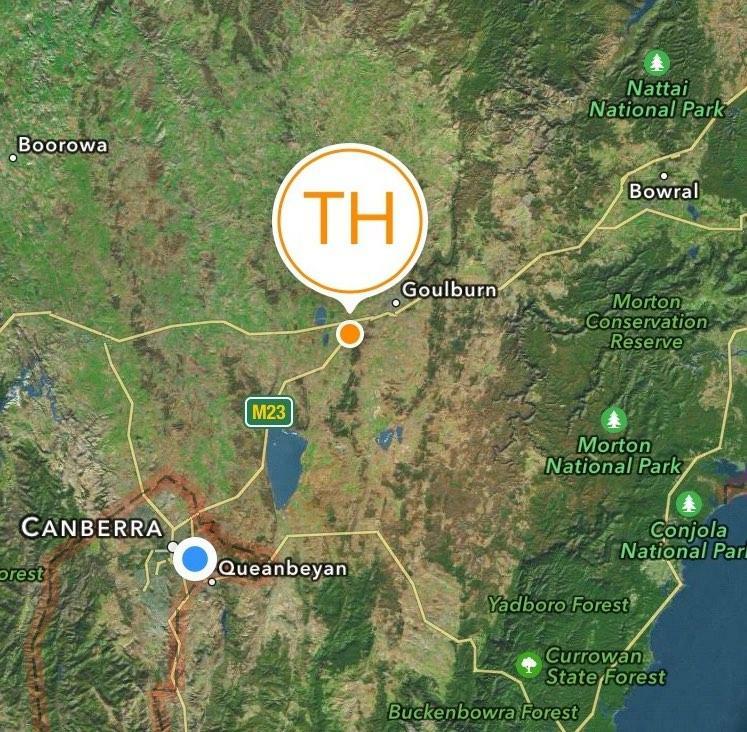 I roped in Todd over at Ride Hacks – and I figured ‘let’s both head to Canberra. Business class vs Business class.’ This meant Hertz Prestige Collection vs Qantas Business Class. 1. Imagining that you were in Sydney CBD, and you get that call from your boss… you need to travel to Canberra immediately. 2. You weigh up your options. Uber to the airport and fly down, or to hire a car? We would rent an Audi from Hertz in Sydney, Todd would drop me to Sydney Airport, and head to Canberra to see who could get there first. Which option is more comfortable? 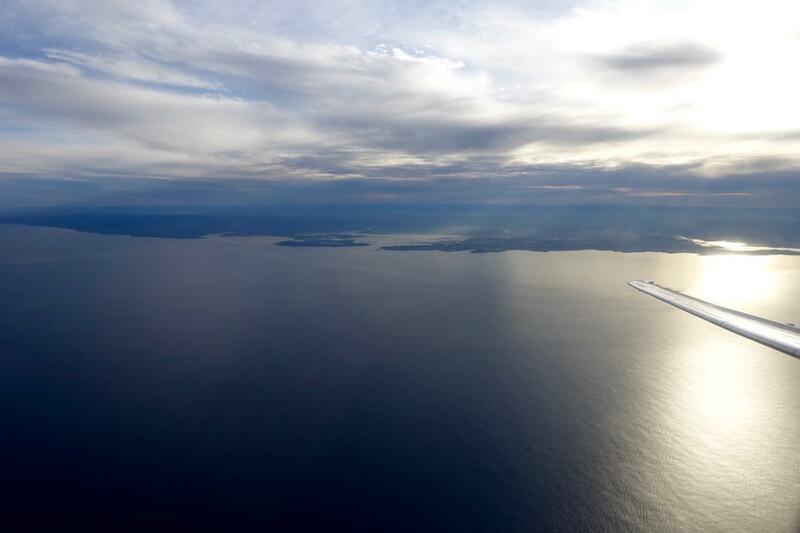 What’s it like flying one of Australia’s shortest Business Class flights? While we weren’t particularly focusing on cost, I would try and consider if it was really worth redeeming points (or paying for) the flight? 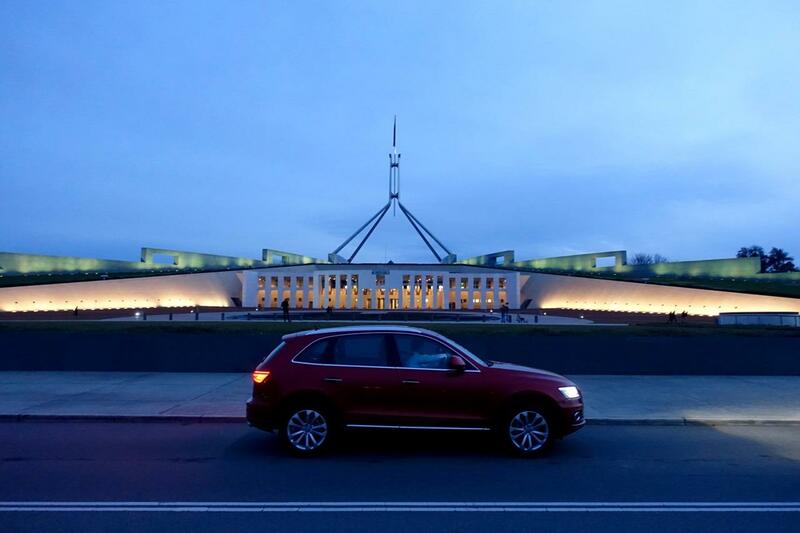 In reality, we knew the car would have a very long-shot in actually arriving in Canberra at Parliament House first. Despite the odds stacked against him, Todd remained optimistic that he might have a chance. The flight is blocked at 1 hour in the Qantas schedule. Add on a 30 minute minimum check in time, plus another 40 minutes to deplane, find a taxi or Uber, and get to Parliament House in Canberra meant a total estimated minimum travel time of around 2 hours for the flight, while Google Maps predicted a 2h 55m total drive time with no stops. However things can always go wrong when flying, and I wasn’t going to arrive at the airport with 30 minutes to spare – so there was always a chance the car might get the nod. But first, we had to choose a car and book a flight. Read about each of the collections in the epic Ultimate Guide to Hertz. For the purpose of this trip — 600km and six hours of driving in a single day — there was really only one choice, The Hertz Prestige Collection, with an Audi A3, Audi A4, Audi Q5, and Audi Q7 in the range. 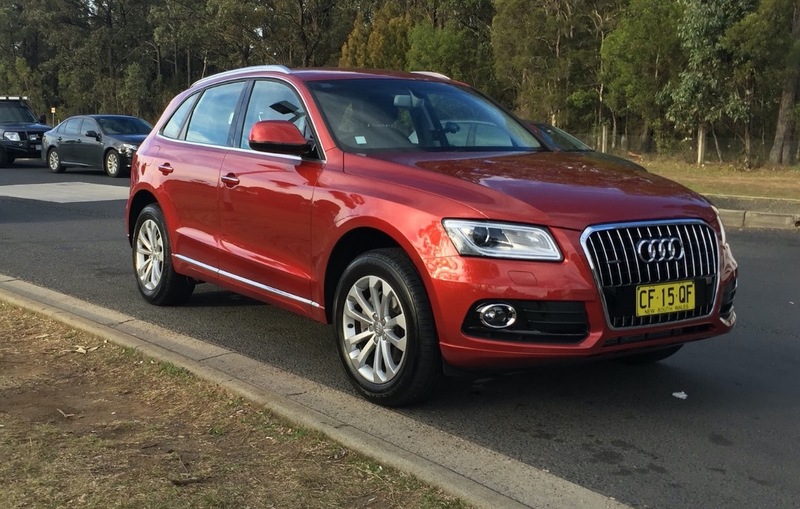 The Audi Q5 seemed like a decent choice to compete with the shortest Qantas Business Class flight money (or points) can buy. We planned to pick up the Audi Q5 from Hertz Sydney Downtown on William Street instead of Hertz Sydney Airport. We picked up the Audi Q5 at 1:30pm and my flight was at 3:20, giving Todd enough time to drive me to the airport so I could enjoy the lounge whilst he battled with traffic. The pickup process was relatively uneventful. Despite the Hertz Gold Counter (a benefit of being a Gold Plus Rewards member) being occupied when we walked in, it wasn’t too much of a wait before we were served and walked out with the keys to a relatively new Audi Q5. Of course, there’s always a points-earn angle. The Hertz Audi Q5 resting on Sydney’s fringe. By 2.15, I was making my way through the Qantas Domestic terminal and heading toward the Qantas Domestic Business Lounge. At this point, the experience between flying and driving, of course, diverges. Unless you have a lot of luggage, domestic check-in is a thing of the past. There’s no immigration, security checks are at most a mild inconvenience, and if flying in Business, you can kill time in the lounge. Todd sitting in traffic on the M5 motorway. However he began making progress toward Canberra almost immediately, whilst I was ‘stuck’ in the lounge. 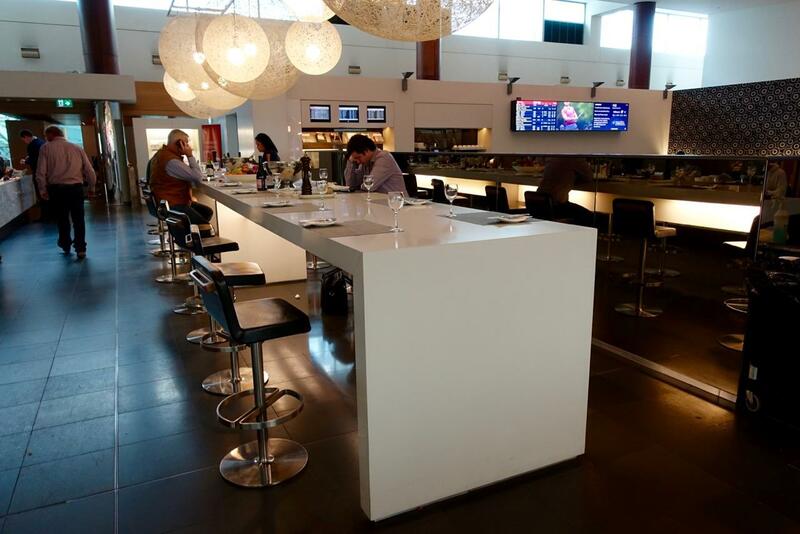 This was no bad thing – as you’ll see in our overview of the Qantas Domestic Lounge (coming soon), you’re well treated with snacks, meals, and as much alcohol as you might reasonably want to consume – not something you can do if you’re driving! The environment is, of course, much more conducive to modern work practices too, with many (possibly most?) people using their devices to keep on top of life before disconnecting on the plane. You’ll also get some fun views of the airport to keep you entertained. Contrasting the lounge experience, Todd thought his first hour of driving wasn’t terrible, but it definitely wasn’t relaxing. Cranking up an entertaining audiobook, he made headway to the rest-stop off the Hume Highway at Pheasants Nest. By about 3.20pm, I was just about to take off – I had suffered a 20 minute delay in boarding and then a looong taxi, yet he still had a long way to go. I figured I’d still ‘win’ in terms of time, but it made it less of a certainty. 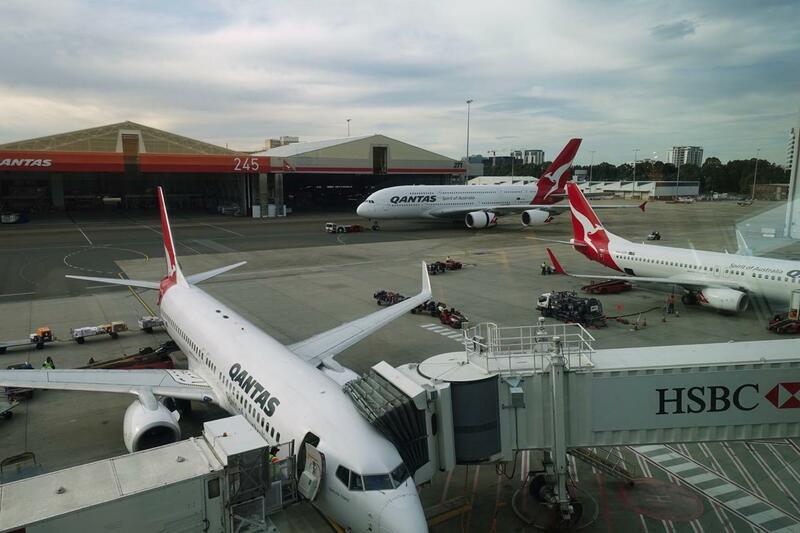 How was one of Qantas’ shortest Domestic Business Class flights? I had booked myself onto a QantasLink Boeing 717 service, which features a Business Class cabin. 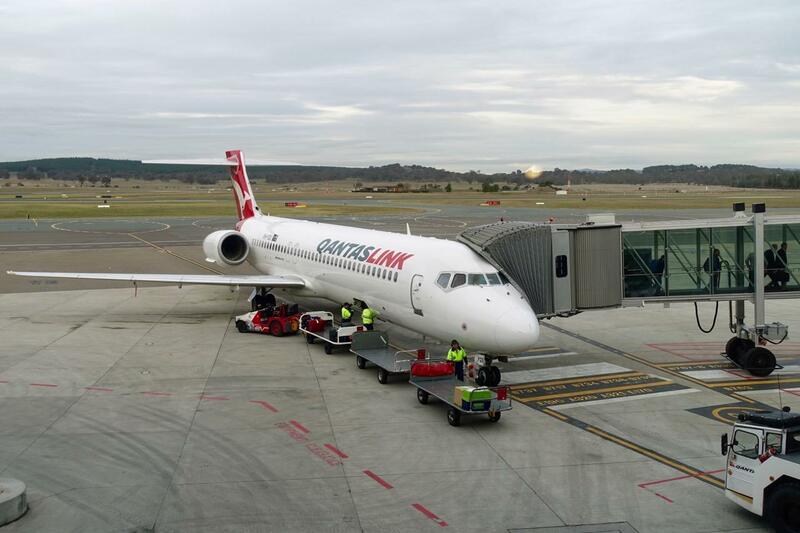 Most of Qantas’ flights to Canberra are on the Bombardier Dash propeller aircrafts, but QantasLink’s 717s offer a relatively new Business Class cabin that’s similar to what you’ll find on their domestic 737 fleet. Given the total flight time is scheduled at 1 hour, once you factor in 15 to 20 minutes of prep and taxiing at Sydney, plus another 5 to 10 to taxi and deplane at Canberra, you’re looking at a total flight time from take-off to landing of no more than 40 minutes (all being well, of course). Given our delay, when we started flying well out into the Pacific before turning back to Canberra, I began to think Todd might be in with a chance of coming close. 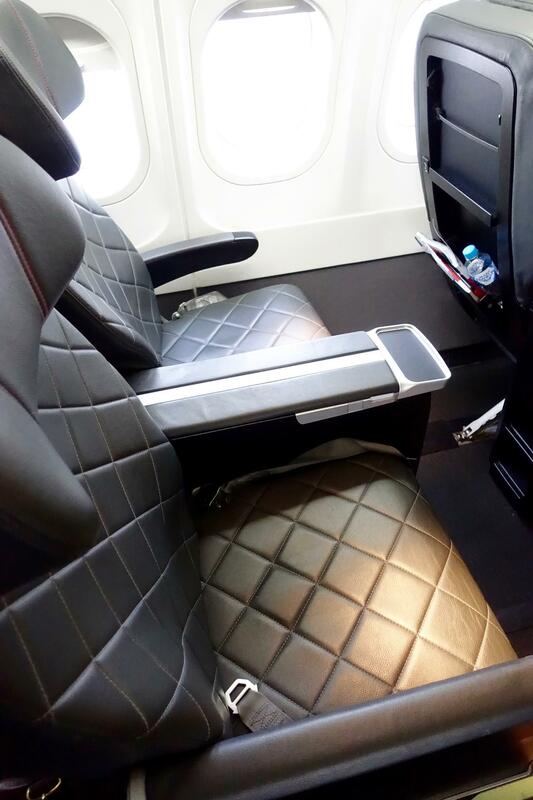 I covered the flight in some more detail in this review of Qantas’ 717 Domestic Business Class. 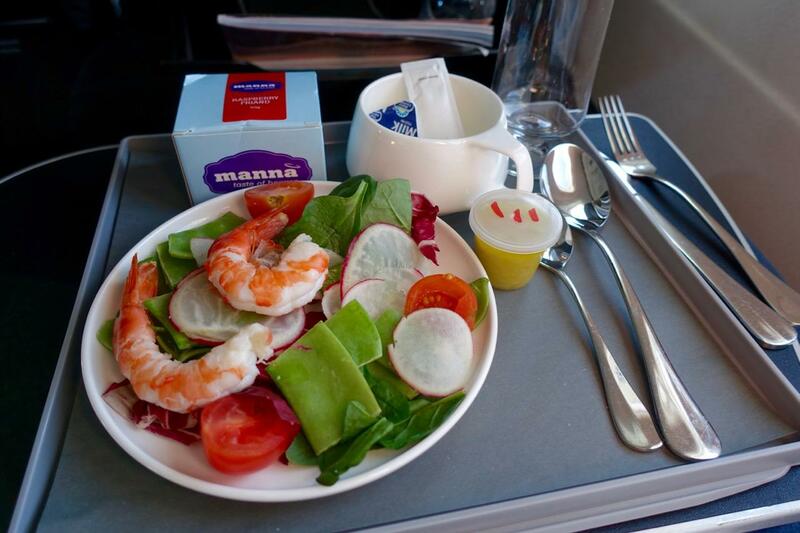 Impressively the crew managed to serve a light lunch, with tea, coffee, wine or beer – in no more than about 30 minutes for a total of 8 passengers in the 12 seat Business Class cabin. I could see I didn’t really need to be worried. He was just over an hour away from Parliament House as I exited the airport, so plenty of time to spare. At this point his chances of winning were non-existent, so I whipped out my laptop and did a bit more work before making my way to Parliament House for my victory moment. 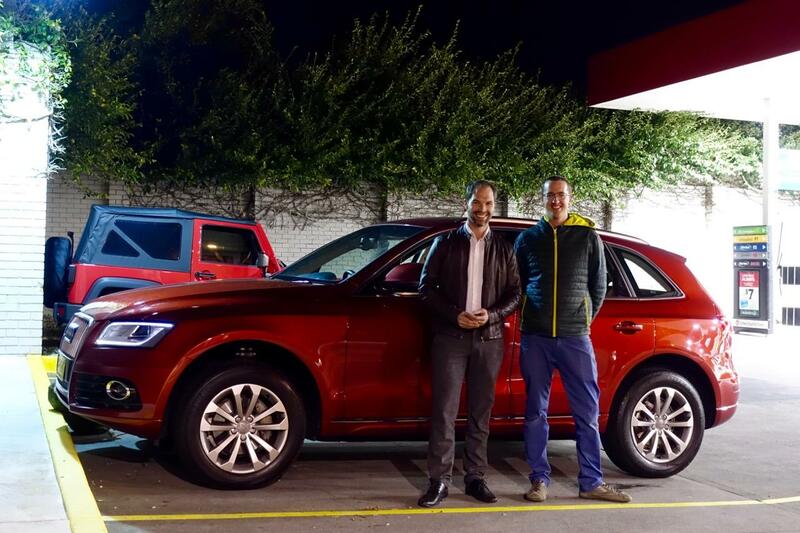 How was the Hertz Audi Q5 on a three-hour roadtrip? Here’s Todd’s take on the Q5. The Audi Q5 you’ll find parked in your city or airport Hertz isn’t anywhere near the top of the line SQ5. Does this matter? Depends. You’ll find an efficient 2.0L TFSI petrol engine in the Hertz Audi Q5, unlike the grunty 3.0L diesel in their Q7. Pushing out 169kW and 350Nm seems adequate for a car of this size. It never felt fast, but never felt slow. Although the spec was identical to the Hertz 24/7 Q5 I had previously rented on demand (twice), the version from Hertz Downtown had a nicer ‘Volcano Red’ metallic finish and was significantly cleaner inside and out. This is the car to take your in-laws on a day out to the mountains. The standard black seats were surprisingly much better than those in the Audi Q7 I complained so much about, and the sound system included a subwoofer like the Hertz Audi A3 which also blows the Audi Q7 out of the water. In terms of value for money at an entry-level zero-option car, the Q5 is a much better package. Connecting my bluetooth phone to the infotainment system was a bit of a hassle, yet it worked fine once connected. It seems that connecting is always the weakest user experience of any car I’ve driven — particularly Audi and Mercedes-Benz. The Q5 cruises at 110km/h without any hint of stress, although the acceleration above 80km/h is notably slower than the Q7’s due to its huge 600Nm of diesel torque. Road noise is slightly annoying if you were to be driving without any background music, although this is easily forgotten during a conversation or with a great soundtrack. From Hertz, the Audi Q5 is probably my pick of the bunch. 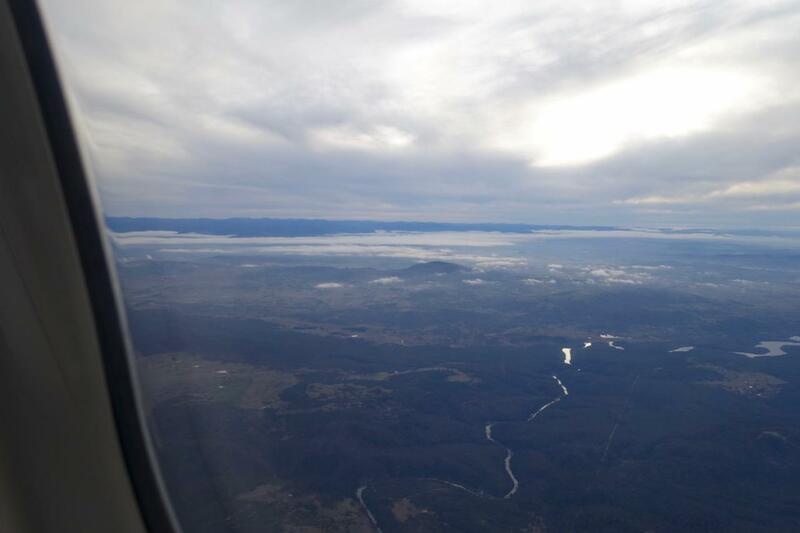 Arriving into Canberra, and leaving again. After experiencing the new Uber departure Lounge at Canberra (! ), my ride arrived and we made our way toward the finishing line. I ended up winning by a little over 30 minutes, and I had a fair bit of padding in my journey. Whilst Todd was cruising up to Capital Hill in the comfort of climate control, I was waiting on the steps of Parliament house feeling the wrath of Canberra’s finest winter weather. Time for pizza! We stopped off for dinner, raided Max Brenner for a sugar high that didn’t last the NSW border, and trekked our way back to Sydney. So, should you drive or fly to Canberra? It totally depends. What’s important to you? Which option is more comfortable and least stressful? That’s down to personal preference – but I imagine most people would prefer the access to food, drink and space that a short flight provides before and after the flight itself. However the Audi was a perfectly fine way to spend a few hours in driving back to Sydney, and you have all the personal privacy you might need. If being productive is important, then the flight experience will likely win unless you can do the majority of your work over the phone or by consuming media in the car. 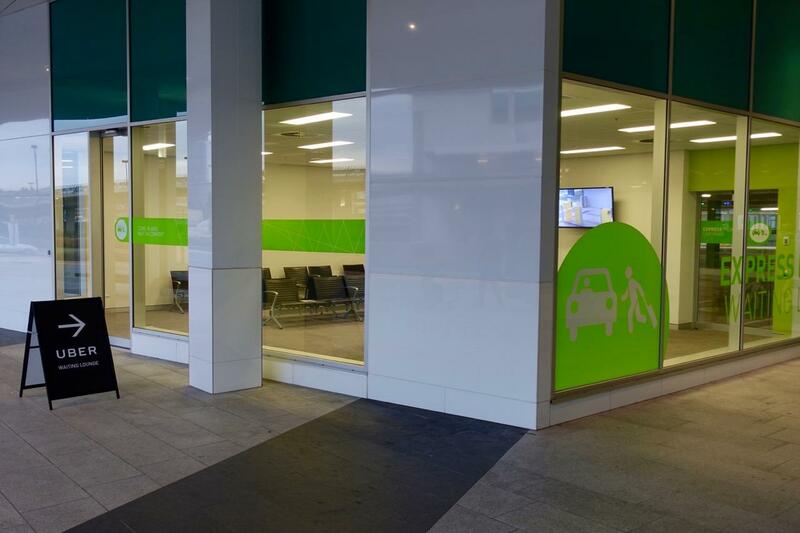 When it comes to stress levels, the only high-stress point in the car rental experience was getting the vehicle out of it’s tight parking spot in the William Street garage. Otherwise it was easy peasy all the way. Flying comes with it’s own unique set of stages and challenges – at least in the car you’re just in one seat heading from point A to point B. If I hypothetically value Qantas Points at a minimum of 2c when making a redemption, then I’m spending around $320 worth of points on this flight. Given you can pick up a domestic Economy flight to Canberra usually for between $100 and $200, the price difference – if you’re paying out of your own pocket – is not worth it. The only reason to consider Business Class on this route is if someone else is paying for you, or you need the Qantas status credits so badly to get you to the next tier. The flight itself was a smooth, nice, but ultimately, pointless experience. There’s no real need to fly in Business on such a short flight, unless you are hell-bent on working on your laptop with maximum space around you – and that’s worth the cost benefit. 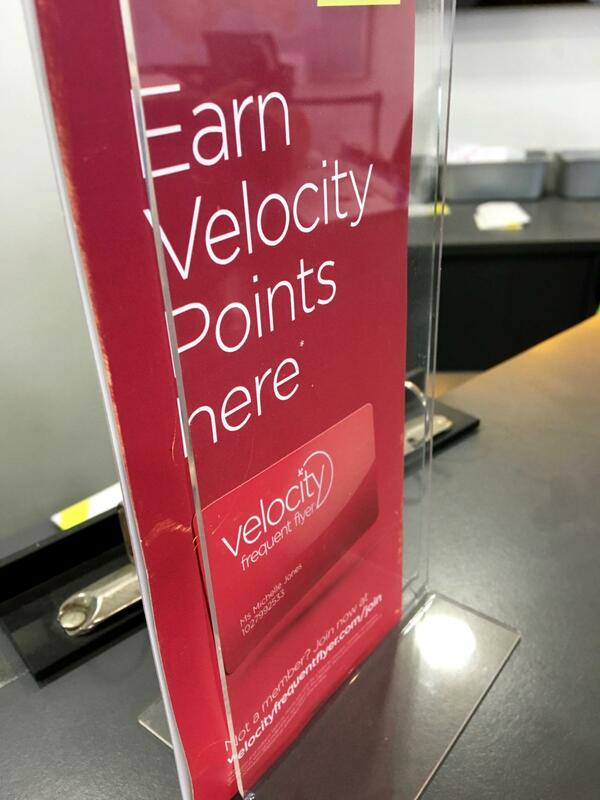 If you didn’t otherwise have lounge access, then having the space and comforts of the lounge before the flight also has value – but I don’t think to the tune of an additional 8,000 Qantas Points, as I said before. Taking the ‘what I spent’ factors out of the equation, and this was a nice, short domestic Business Class flight experience, which was somewhat surprising given the amount of time actually spent in the air. If you really had to go down and back in a day, then flying would give you the most time to continue working (or eating and drinking in the Qantas Lounge). 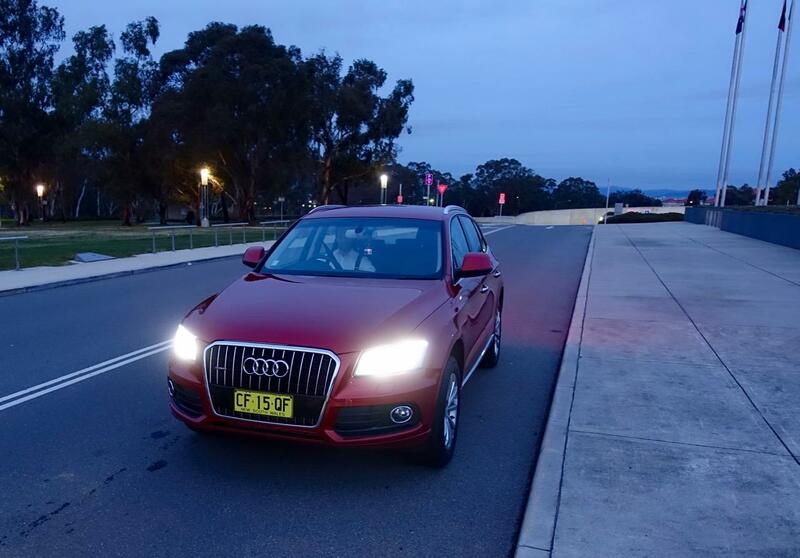 Although if you are accompanied by good conversation, or you need to drive in Canberra for more than a day, it’s likely that the Hertz Audi Q5 is your perfect companion. The highway is great between Sydney and Canberra, and could definitely allow for higher speeds in roadworthy cars. Drivers would have higher concentration and less fatigue, too! Absolutely addicted to your articles! Paying my own way (and using my own car) the road trip is a no brainer. However, for company-paid trips, I definitely prefer to fly. I can snooze/work on the plane as the situation demands, and don’t have to worry about the pesky Sydney traffic, which I absolutely detest. There has to be a premium for that, IMHO. I live in Sydney and do a fair few work day trips to Canberra (once/twice a month). Because of family routines, scheduling, etc, and because of where I live, I find the return trip on the 717 suits me. I also arrange things this way to avoid the Dash-8, which I loathe. 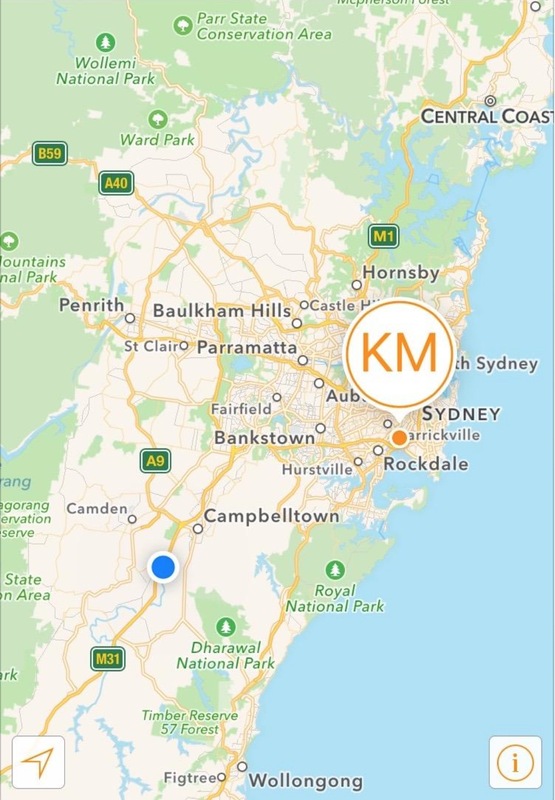 We did actually start the trip together from the CBD – what took Todd an extra 10 minutes maybe would be the act of dropping me at Domestic instead of just driving straight on by me on the freeway. I would have picked up an Uber within a couple of minutes, but yes, if catching the train that would have taken me longer, probably. Either way my ‘victory’ margin was pretty great so flying was definitely faster in our case. Love this comparison you did! Interesting to see 2 perspectives of luxury travel to Canberra. Great! Let us know if you have any other comparisons you think we should look at. Thanks Keith, I’m with thelongroad on this one. Its a fun example you use. However living in CBR , its marginal if your introduce check in luggage. Arriving one hour prior, and waiting on the super slow CBR baggage staff on the other side, it can often be quicker and far cheaper driving. Also, for me it’s more productive. I can make 3 hours worth of work/family calls in a relaxed and quiet atmosphere without interruptions from loud and chaotic departure lounges, PA systems, boarding, flight time, finding a taxi/public transport. For most Sydney destinations outside of CBD/eastern suburbs the time advantage is much more marginal, or the plane can be even slower than driving. To my parents’ house in Ryde for example, to my house in Kingston, a good run is just under 3 hours by either method. 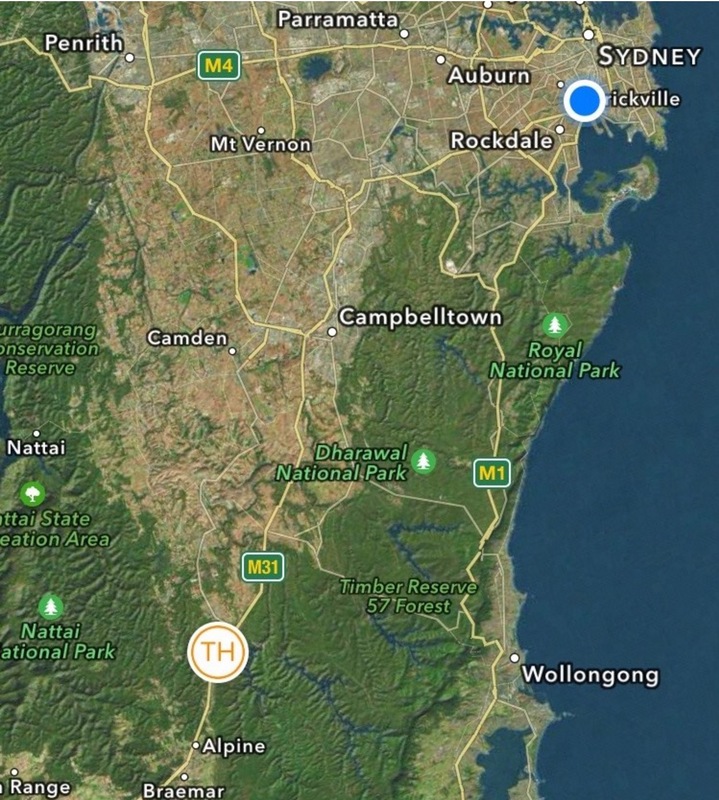 Anywhere in west, southwest or northwest Sydney the car is faster. Much cheaper – my diesel needs about $50 worth of fuel round trip. As you may know, flights to/from Canberra are never, ever, ever cheap. 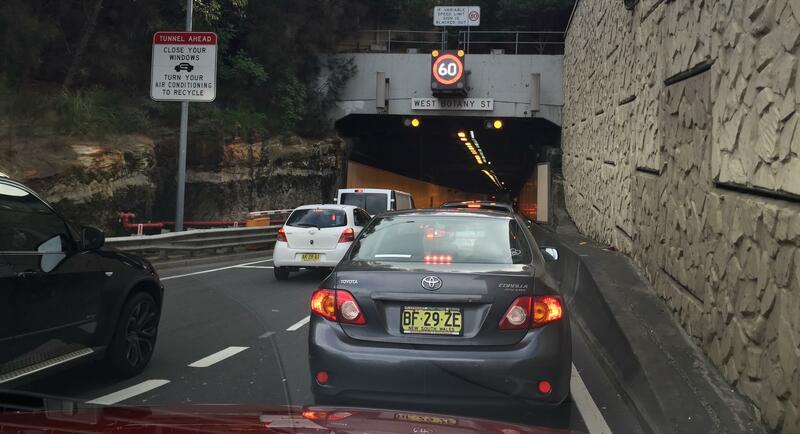 I have a car when I’m in Sydney, much more convenient and saves even more money on taxis/Uber/public transport. Others with different circumstances may do differently, but that’s the calculation for me.